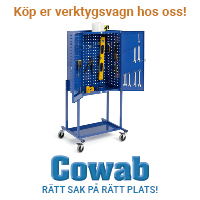 Katarina Ungman, Advertising Manager, +46 8 514 934 72Swedish Industry’s preferred Logistics Trade Magazine – the only A4 publication for the trade! Transportnytt is an independent magazine, articles and reports reflecting topical issues within the trade. We cover the whole logistics chain from internal to external transport. We write about materials handling, warehousing, weighing, labelling, packaging and trucks. In transportation, we cover transport by sea, air, road and rail. We closely follow fast trends in IT, but also keep our eyes on new development in economics, infrastructure, and social issues. We take part in and cover all major trade exhibitions and regularly test light commercial vehicles. 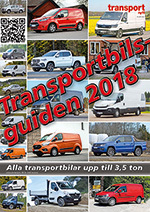 Transportnytt’s popular surveys increase the value of the magazine and they are a major reason why readers often choose to save their copies. Ports & Logistics wall map and Light commercials Guide 2018. The magazine reaches corporate, logistics, warehouse, and transport managers in industry and retail. Large groups of readers are found within forwarding agencies, transportation companies, ports, as well as consultancy and engineering firms.